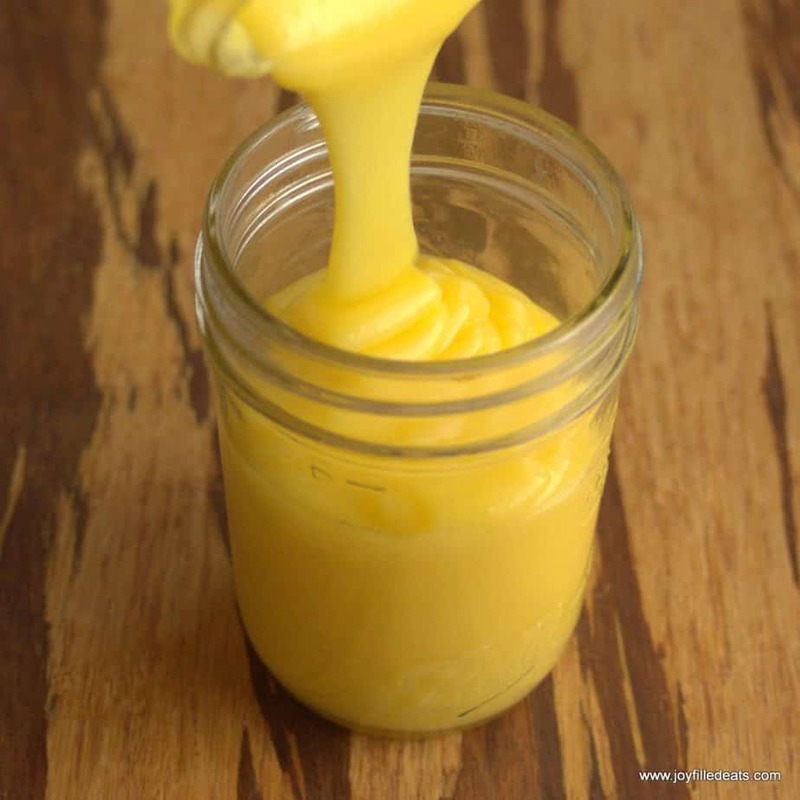 This Creamy Lime Curd is easier than you think to make. It has the perfect blend of sweet, tart, and creamy. It is an easy way to kick dessert up to a whole new level. 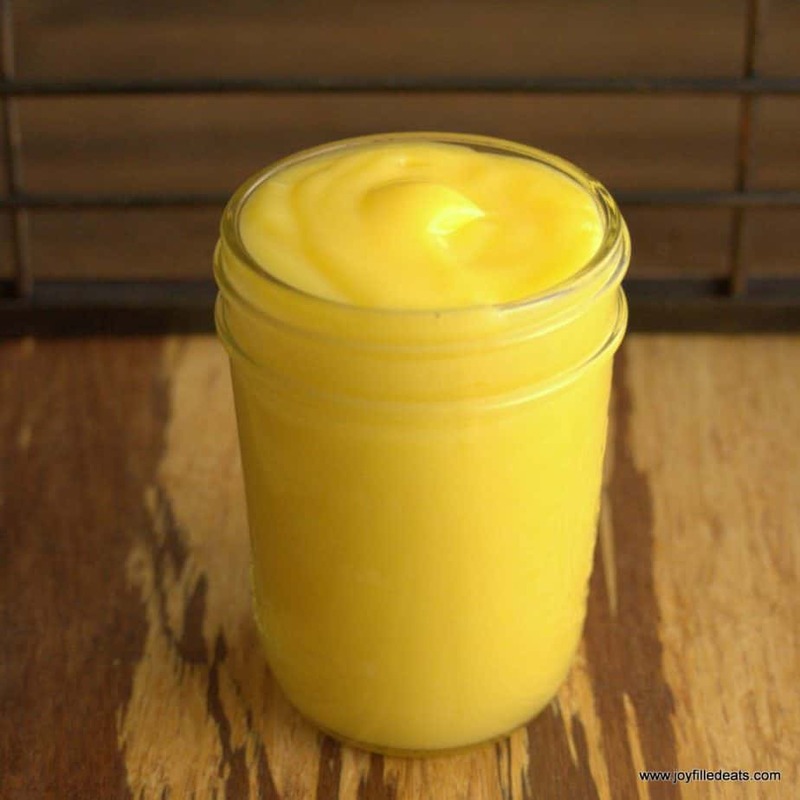 If you’ve never made a citrus curd before you’ll be surprised how easy it is. For many years I wasn’t a big fan of citrus desserts. I remember when a friend asked me to make lemon bars for an event. I begged to make brownies instead. I didn’t even like lemon bars. Somewhere along the line, citrusy desserts began to grow on me. But what really won me over was lemon and lime curd. It is divine in tarts, on berries, on pound cake, inside of cupcakes, or with a spoon. 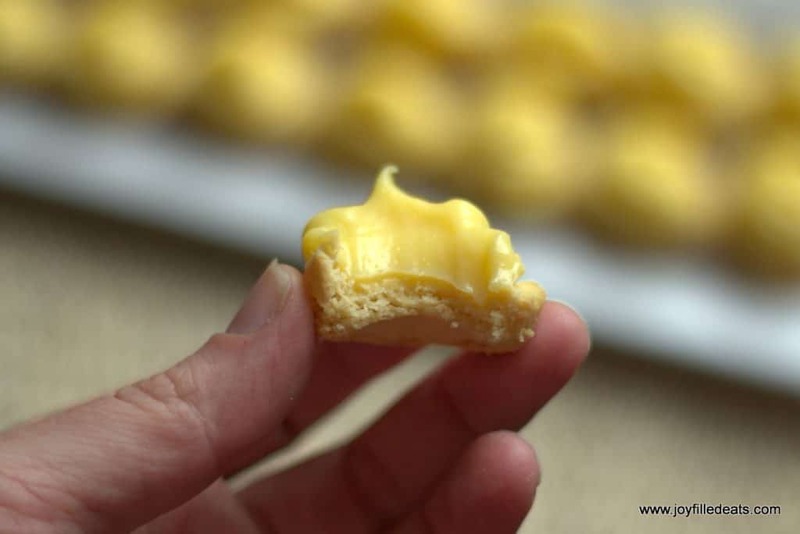 Pipe the lime curd into mini tart shells for an impressive but easy dessert. My recipe for Mini Lime Tartlets has the instructions to make the shells. I love serving this at baby or bridal showers. 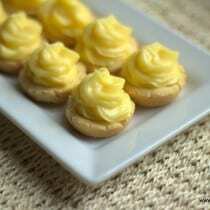 It is always a hit to have a ton of little tiny desserts so no one feels guilty eat 4 or 5. Or a dozen. In a small saucepan over medium-low heat melt the butter and sweetener. Cook until slightly thickened. Whisk in the egg yolks one at a time. Cook until thick. Add the lime juice and whisk until smooth. Add the cream and whisk again. Strain through a fine mesh strainer in case there are any bits of scrambled yolk. Put in a glass bowl or jar and refrigerate until cold. Serve with pound cake, fresh berries, blueberry muffins, or in little tart shells. 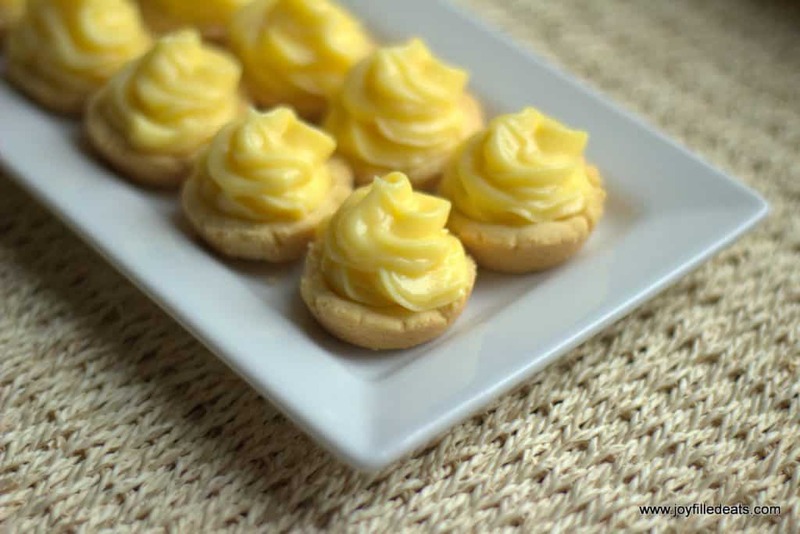 This Creamy Lime Curd is easier than you think to make. It has the perfect blend of sweet, tart, and creamy. It is an easy way to kick dessert up to a whole new level. If you've never made a citrus curd before you'll be surprised how easy it is. In a small saucepan over medium-low heat melt the butter and sweetener. Cook until slightly thickened. Whisk in the egg yolks one at a time. Cook until thick. Add the lime juice and whisk until smooth. Add the cream and whisk again. Strain through a fine mesh strainer in case there are any bits of scrambled yolk. Put in a glass bowl or jar and refrigerate until cold. Serving size is 1/8th of the recipe. How much does this recipe yields? 1 cup? Yes, this makes about 1 cup. 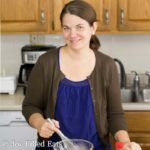 Could strawberries or raspberries be substituted in this recipe? Or do you have a berry curd recipe that is THM friendly? I'm so addicted to this lime curd! It is so good! I just eat it from the jar! If I'm not eating your strawberry jam, then I'm eating this lime curd! Wouldn't we be able to substitute lemon juice for the lime juice?